My wife and I stayed at the Grand Hommes for 5 nights starting 8/25/17. The hotel was lovely and very comfortable and was a welcome nightly respite from our city touring. It had a nice location near the Luxembourg station, and in walking distance of the Notre Dame, St. Germain, and Muffeotard. But the highlight was the staff. We could not have be more pleased by the courtesy and service. Camille was always very welcoming, and Nicholas (I think) was always very helpful at night. We used room service twice, which was nice to have for a quick breakfast and coffee. At one point during a rainstorm one of the desk staff actually came out side and held an umbrella over us as we waited for a cab to arrive. Parisians are great. Wish we were there now. I can't say enough good things about this hotel. We requested a room with a balcony and it was perfect. We had an unbelievable view of the Pantheon and roof tops of Paris including the Sacre Coeur. 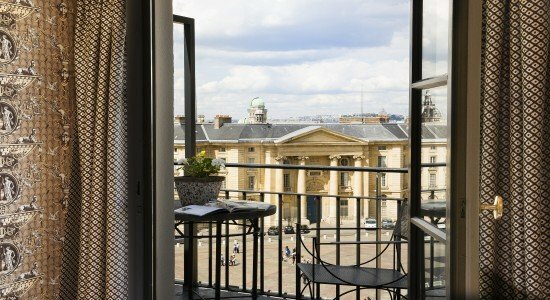 This area of Paris is the perfect place to stay. 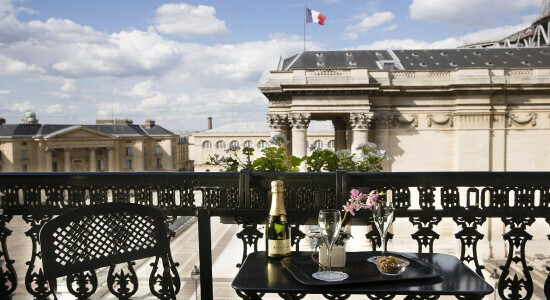 Within walking distance of the Seine, Notre Dame and Louvre and very close to the beautiful Luxembourg Garden. 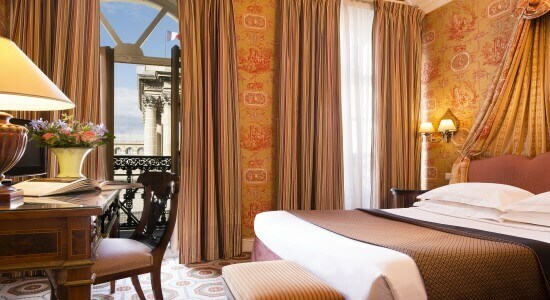 The hotel interior was gorgeous and the room and bathroom size were comfortable by Paris standards. The staff could not have been friendlier or more helpful. We arrived early after a long day of travel and our room was ready. I hope I get to Paris again. If I do I would definitely stay here. I highly recommend this hotel. ot much to say about this place except it was exceptional, the staff was extremely helpful and pleasant. The room was comfortable and the bed was one of the best out of our trip across Europe. 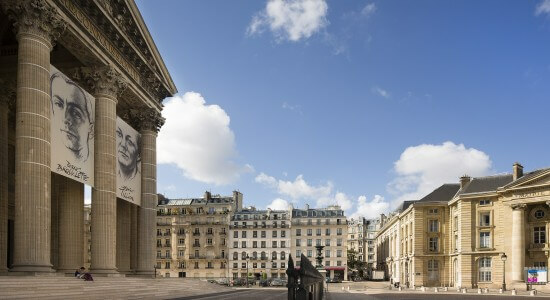 An easy walk to the Luxembourg Gardens, easy walk to the Pantheon (obviously across the street) and close to all sorts of amazing food, coffee, crepes! Located in a safe area to walk an explore. I really liked this Hotel! Stayed here for 6 nights. Upgraded to the balcony room. 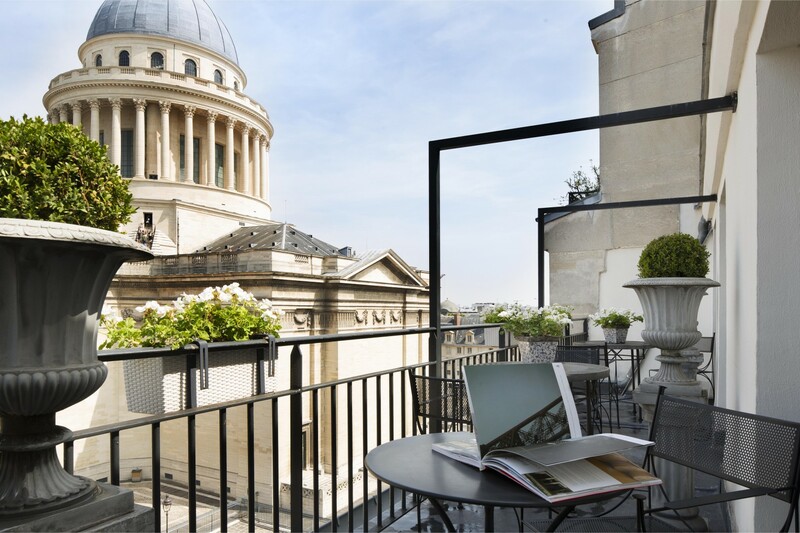 (room 50) the view of the Pantheon from these balcony rooms is absolutely fabulous. Rooms are very clean with very nice details. Front desk staff goes the extra mile to make the guests happy. Just a great location that can't be beat. Great value for the money. Rooms have a safe and refrigerators. We can't wait to go back and sit on the balcony in the evening drinking an adult beverage and just thinking Bon Jour indeed. 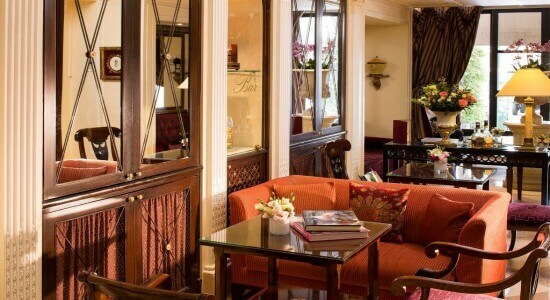 Reliable hotel in the 5th near Luxembourg Gardens and St. Germain. The hotel is directly across the street from the Pantheon and has lovely views of it. 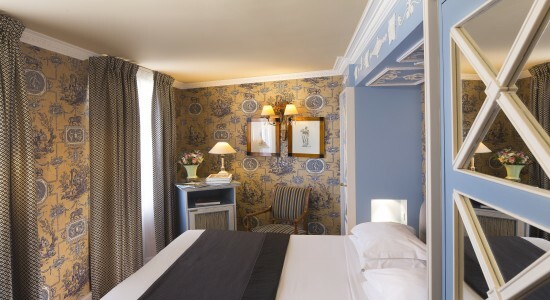 The hotel is old school parisian with breakfast in the basement and comfortable rooms. It is not modern, but does have good bathrooms and comfortable beds. There are a few restaurants around the corner and a yummy Boulangerie/Patisserie one very short block around the corner which is ideal for breakfast. Walking distance to the gardens and the bustling St. Germain area, also easy to walk through the Latin quarter to Notre Dame. We had a great staff, a nice cozy room, a very comfortable bed, and a central location. The room was also very quiet at night. We couldn't ask for more while we were in Paris. We will definitely be back. My spouse and I spent 8 days there this past week. We had a very quiet courtyard room. 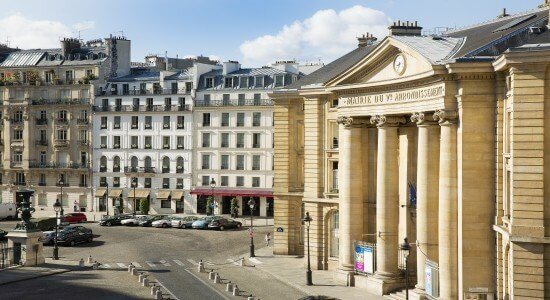 The hotel was close to buses and trains, the Pantheon across the street and numerous bistros. The staff was very nice and made our stay quite pleasant. The only slight negative is the Wi-Fi was weak in our room. When we return to Paris, we will certainly stay there again!